Well done, Scott and Shayne. I’ll even (almost) forgive the redundant apostrophe. Spotted my Mario Dreosti in Goodwood SA. Some Pun Shop Names are counter productive, but not this one, which is, coincidentally, Counter Production. Where they produce, err, counters. Spotted by Lydia Woodroff, on the road in Surrey UK. I’m certain she was not driving while taking the shot. 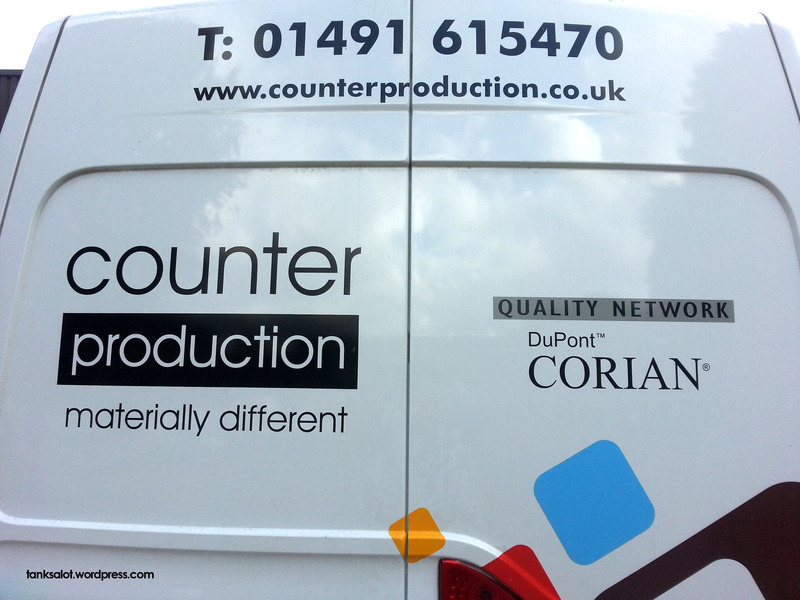 [update:] Just received this note from Patrick, managing Director of Counter Production: Hi, We were all amused to see our van featuring on your site. Shame about the picture quality….! I’ve attached a clearer image if you want to use it. Best wishes and good luck with your site. 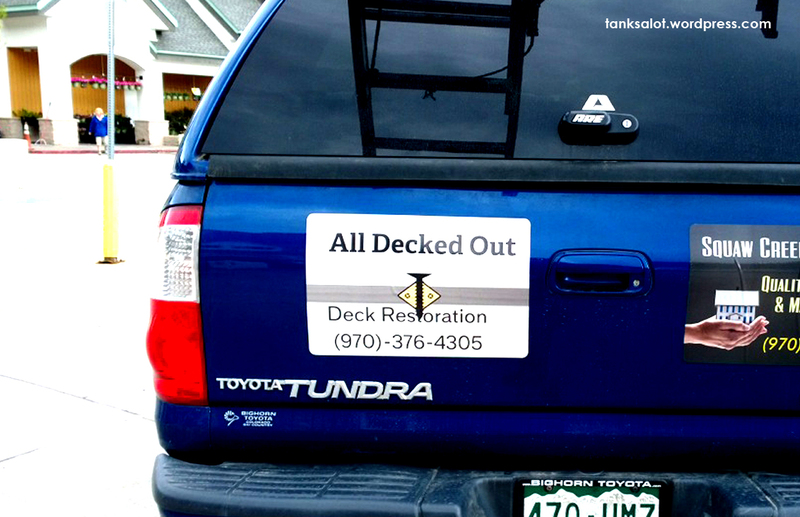 Hopefully this PSN is implying that your deck will be ‘all decked out’ with a new look, rather than the business owner has seen one too many decks. All the way from Vail, Colorado where it was spotted by Jonathan Schneider. A brilliant Pun Shop Name that needs a little explanation for those who don’t know ‘Pymble’ is a suburb of Sydney, NSW. Spotted by the PSN wizard, Simon Bloomfield. Wondering where the rest of *NSYNC ended up after the band went ‘Bye Bye Bye’? 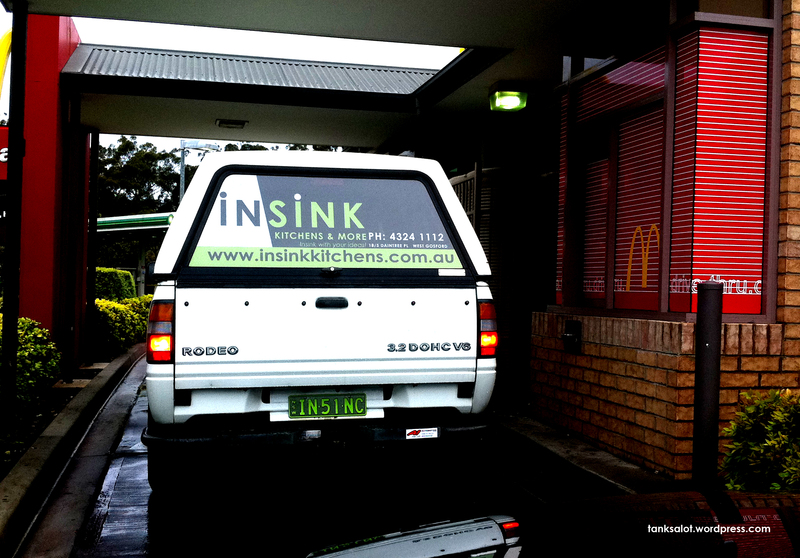 Seems they opened a kitchen installation business in Gosford NSW. This excellent Pun Shop Name was spotted by Renée Keogh, while waiting for her Chicken McNuggets. 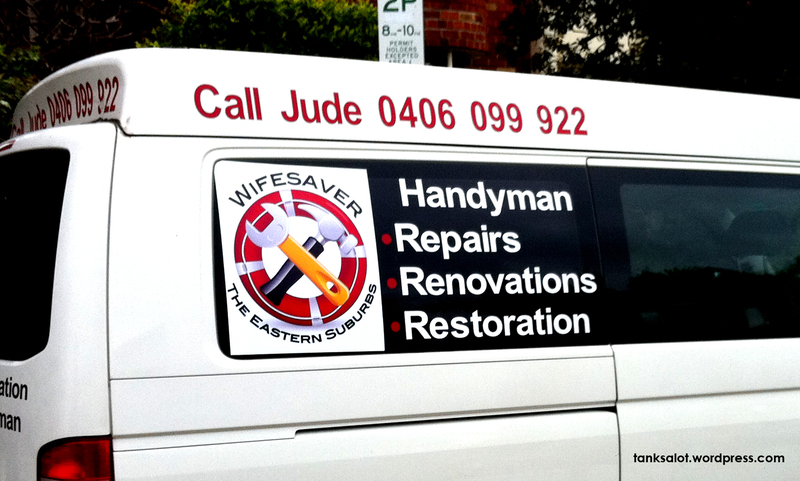 Spotted Jude ‘the Wifesaver’ making a house-call in Bondi Beach NSW on my way to work this morning. 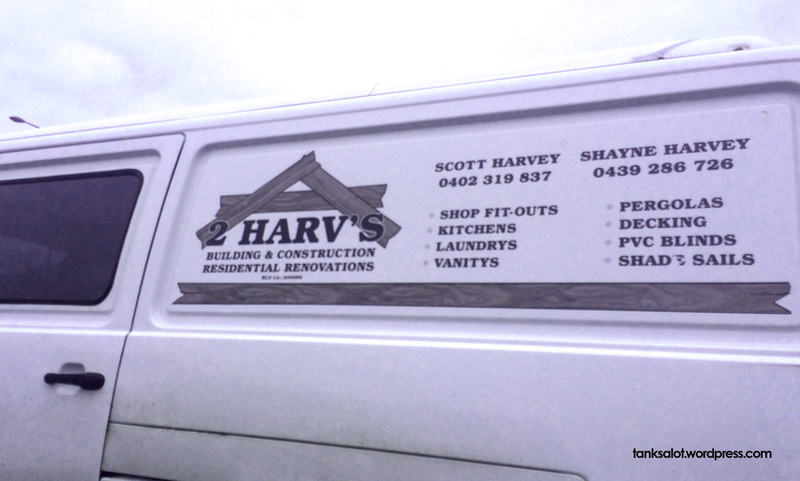 According to his van, he services bored housewives all over the Eastern Suburbs. He must work very hard. 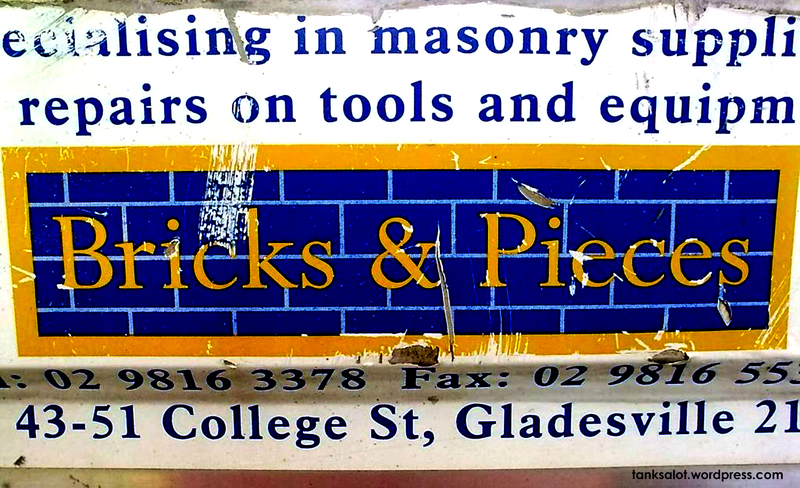 I’m in the market for a builder at the moment – and given the choice between ‘Bricks & Pieces’ or ‘Just Screw It‘ – Ummm… I think I’ll go with Bricks & Pieces. 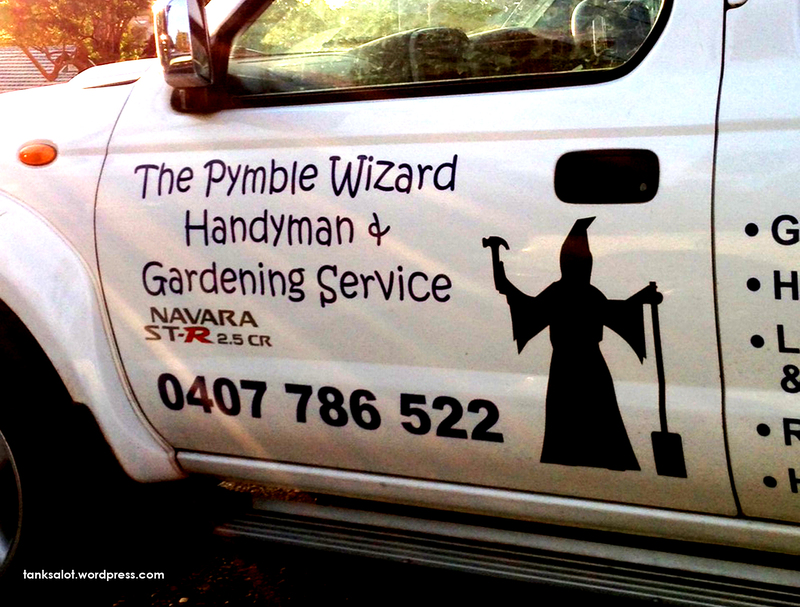 Spotted by Steven Iannello in Gladesville NSW.